Kaman Industrial Technologies Corporation (KIT) announced that it has sold its seven Canadian branches to Wajax Industrial Components, a leading Canadian national industrial distributor. “We are pleased that we were able to find a good home for our Canadian employees with the Wajax organization. We were sub-scale in Canada with limited opportunities to grow through acquisition. We have worked with Wajax in the past and we look forward to strengthening that relationship in the future,” stated Steve Smidler, President of KIT. The operations divested by KIT had 2012 sales of approximately $20 million (U.S. Dollars). Terms of the transaction were not disclosed. 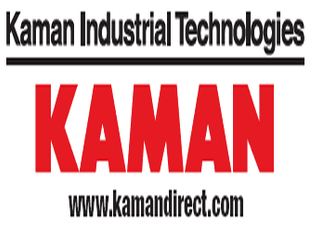 Kaman Industrial Technologies Corporation is one of two operating Segments of Kaman Corporation (NYSE: KAMN). KIT is a distributor and service provider to North American industry from more than 230 locations and 5 distribution centers in three business platforms; Electrical and Automation Control, MRO-Bearings and Power Transmission, and Fluid Power. The company provides a commitment of technological leadership and value-added services to industry. KIT’s core business lies in the supply and application of standard components, in addition to offering customers single-source responsibility and accountability for each product line. Kaman Corporation, founded in 1945 by aviation pioneer Charles H. Kaman, and headquartered in Bloomfield, Connecticut also conducts business in the aerospace market. More information is available at www.kaman.com. Wajax Industrial Components is a wholly owned division of Wajax Corporation, a leading industrial distributor. Wajax is a Canadian business which has been in operation for 154 years. Its common shares are listed and traded on the Toronto Stock Exchange under the symbol “WJX”. Wajax Industrial Components now operates a total of 65 branches in Canada, employing more than 750 people, and represents such market-leading brands as SKF, Schaeffler Canada, Timken, Renold, Emerson Power Transmission, Martin Sprocket, Rexnord, Eaton, Parker Hannifin, Moyno, Cuno and Honeywell. Globally sourced commodity products are available under the National and Hy-Spec private label brand names. Wajax Industrial Components also operates 13 certified service and repair centers strategically located across Canada. Specialized engineers and technicians deliver value-added services such as design and fabrication, equipment selection, failure analysis, on-site support and reverse engineering. Clients come from sectors as diverse as mining and aggregates, oil and gas, primary metals, forestry, utilities, and construction, to name a few. More information is available at www.wajaxindustrial.com.